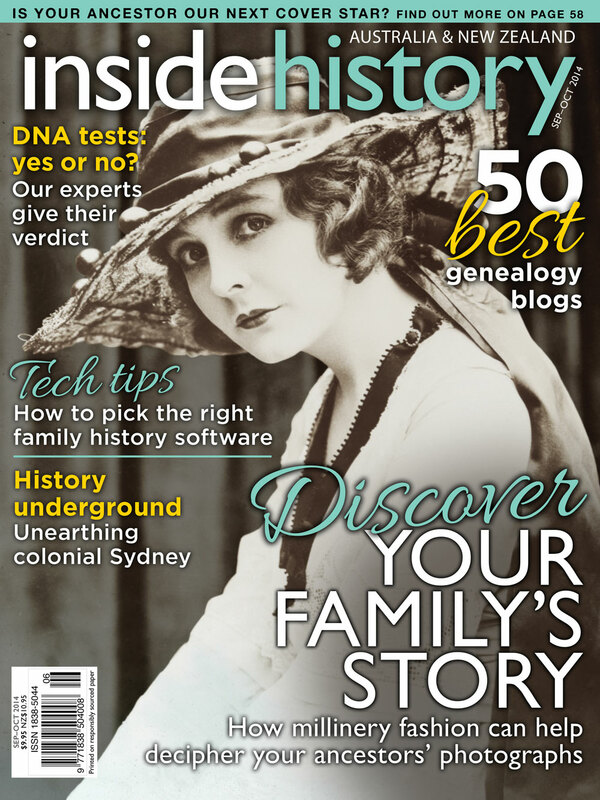 The digital version of Inside History for September-October 2014 has been available since late last week. Subscribers are receiving their hard-copy versions in the mail. The cat is no longer in the proverbial bag so can I say how thrilled I am to find myself on the Top 50 Blogs list for 2014? There was certainly some geneajigging going on! Every year there is an increased number of excellent genealogy blogs online, and Down Under is particularly well represented. I also know Geniaus aka Jill Ball and Inside History have a rigorous set of selection criteria for inclusion. All the more reason to be delighted, and privileged, to once again be in the list. 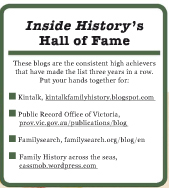 And the icing on the cake is that this blog, Family History across the Seas, has achieved the Inside History Hall of Fame, having been on the Top 50 list for three years, along with the blogs from Kintalk, Family Search, and the Public Records Office of Victoria. The list includes many of my “old” faves, but has also introduced me to some blogs I didn’t know about but which have now been added to my Feedly list. I’m very pleased to see the Irish getting a Guernsey with Irish Genealogy News (Claire Santry) and also Lost Medals Australia of which I’ve been a fan for ages…especially pertinent as we honour the men who served in WWI. Congratulations to my genimates Kerryn at Ancestor Chasing, Anne at Anne’s Family History, Shauna at Diary of an Australian Genealogist, Alex at Family Tree Frog, the esteemed Geniaus herself, Kylie at Kylie’s Genes, Alona at Lonetester HQ, Sharon at The Tree of Me, Sharon at Strong Foundations, and the international collaboration at Worldwide Genealogy started by Julie Goucher. Congratulations also to all the other individual bloggers and organisations on the list. A special thanks to Jill Ball and Inside History. If you don’t already read Inside History it’s well worth subscribing either digitally or as a hard-copy. I’ve particular enjoyed this month’s articles on DNA and University Archives, one I’m struggling to understand, and the other I’ve been a fan of for many years. Inside History also has a great blog you can follow. What a great lot of reading we have ahead of us, both of the magazine and also all the blogs. This entry was posted in Blogging and tagged blogging, Inside History Top 50 blogs by cassmob. Bookmark the permalink. Congratulations, Pauleen… especially being in the Hall of Fame… I have only just caught up with reading the list tonight. It’s very well deserved as you put so much into each and every post. Congratulations also to all who made the list, great to see so many familiar names, as well as some, new to me, to add to my Feedly selection also. I love Inside History also, so much to offer each issue. 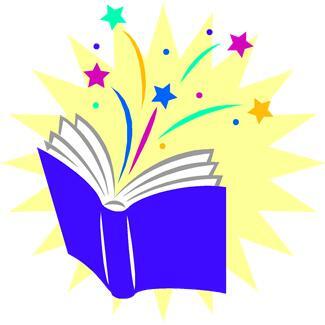 Thanks to Inside History and GenieAus for giving us even more reading to catch up with! Thanks Chris for your kind comments – I was tickled to bits to be on the list along with so many other great bloggers. Congratulations Pauleen – on being in the top 50 and especially in making the Hall of Fame! That is terrific and very well deserved 😀 Look forward to catching up when you are back in Darwin and have time. Congrats Pauleen and thank to Jill for choosing our blogs!! Thanks Kylie. Good to see so many of my genimates in the list. Congratulations Pauleen on the hall of fame and being a model for us more recent bloggers. Thanks for alerting me to the list – I don’t know I was included but I am really thrilled and awed. There are definitely those on the list I am already following but there are some new blogs to catch up with too. Thanks for your kind words Anne and congratulations on your inclusion! It seems no matter how many blogs we read, there’s always more to learn about. Don’t know how Jill keeps up with them all. Congratulations Pauline and well done.